User Experience Design, Interaction Design and Human-Computer Interaction are broad terms that have been used by vibrant professional and academic communities, oftentimes in separate events in Latin America.In 2015, we have decided to come together in Interaction South America and the Latin American Conference on Human-Computer Interaction. During Days 1 and 2, a scientific track will present contributions selected by the CLIHC 2015 Program Committee, whereas a practitioners track will present work carefully curated by the ISA Professional Committee. For the first time in South America, the synergy of both communities will be experienced. To spread the word about scientific productions of groups working on Interaction design, User Experience Design and related areas. Encourage the scientific production of research groups working on Interaction Design, User Experience Design and related areas for both undergraduate and graduate students. To provide a space for reflection about the inherent matters of Interaction Design, User Experience Design and related areas. To promote the articulation and dialogue between the academic field and the industry regarding to the practice of Interaction Design, User Experience Design and related areas. To promote Interaction design, User experience design and related fields as vehicles of development within Latin America. If our design community wants to grow the profession and have a seat at the table, then it needs to understand that design is not the center of the universe. Certainly, design is a cornerstone in the process of product development, but the end point is a successful product, a product that maximizes business value. The dichotomy between business and design is just a sign of the long path to maturity we have ahead. It is, at the same time different sides of the same problem. On one hand, taking to our users a product that will delight them, at the right moment, and with the resources we have available; and on the other hand, supporting the business proposition we want to develop. It is very important for designers to grasp notions about how to manage projects, how to lay out a plan of action to attack a problem and, in that line of thought, how to select the relevant techniques and methodologies for each project. Projects have a budget, lack of planning or the selection of wrong practices impacts directly on the budget of the project, impacting on the cost-benefit ratio and of course ROI. Design is not the endpoint. A design abstraction with no consideration for the user needs, technological viability or the projected business model is doomed to failure. It is time to assume that design is a key factor of the business equation. Design is a serious business. Abstract (maximum of 2000 characters). The subject must correspond with an investigation (finished or in the process to be finished), business or professional cases. Short CV (2000 characters with spaces). Language in which the presentation will be delivered. The presentation for accepted articles must be no more than 40 minutes. Authors will receive specific instructions about the date, place and presentation format. Those authors presenting must register for the event but they will not pay for a ticket (maximum of 2 tickets per article). Interaction South America 2015 will not cover travel expenses. The expositions may be in Spanish, English or Portuguese. There will be no simultaneous translation. Presentations might be videotaped and posted on Interaction South America’s website. The document used for the presentation will be published on the site. The selected professional articles will be published in digital format on a specific website section. Short articles showcasing results of an original research, businesses or professional cases (5.000 to 10.000 characters / With a presentation of 15 minutes). The presentation for accepted short articles must be no more than 20 minutes. Authors will receive specific instructions about the date, place and presentation format. Authors presenting expositions must register for the event but they will not pay for a ticket (1 ticket per short article). Interaction South America 2015 will not cover travel expenses. The expositions may be in Spanish, English or Portuguese. There will be no simultaneous translation. Presentations might be videotaped and posted on Interaction South America’s website. The document used for the presentation will be published on the site. The selected professional articles will be published in digital format on a specific website section. Talks: Technical, business or professional presentations. 200 characters describing what attendees should already know in order to attend. The subject must correspond with technical, business or professional use cases. Full name of the author or authors. A video of the author demonstrating their speaking ability in order to evaluate their capacity as a speaker. The presentation for accepted talks must be no more than 40 minutes Authors will received specific instructions about the date, place and presentation format. The presentations may be in Spanish, English or Portuguese. There will be no simultaneous translation. Authors presenting must register for the event but they will not pay for a ticket (One ticket per talk). Interaction South America 2015 will not cover travel expenses. The document used for the presentation will be published on the site. Presentations might be videotaped and posted on Interaction South America’s website. Lighting Talks : Technical, business or professional presentations. 400 characters describing the speaker’s expertise in the proposed topic. Language in which the presentation will be delivered at the conference. The presentation for accepted talks must be no more than 15 minutes. Authors will received specific instructions about the date, place and presentation format. The presentations may be in Spanish, English or Portuguese. There will be no simultaneous translation. Authors presenting must register for the event . They will receive a complimentary conference pass (maximum 2 tickets) and will be responsible for all travel and accommodation expenses. Interaction South America 2015 will not cover travel expenses. The document used for the presentation will be published on the site. Presentations might be videotaped and posted on Interaction South America’s website. Workshops: Activities for learning by doing. The subject must correspond with technical, business or professional cases.. The selected workshops will be held in half a day or a day, according to the proposal. The workshop presenters will receive specific instructions on the date, place and format. The presentations may be in Spanish, English or Portuguese. There will be no simultaneous translation. Authors presenting must register for the event but they will not pay for a ticket (1 ticket for every 20 registered attendees with a maximum of 40 attendees, meaning maximum 2 tickets). Authors cannot charge fees to the attendees. Interaction South America 2014 will not cover travel expenses. Posters that present topic of professional cases. The selected posters must be printed and taken to the Congress by the authors themselves. Poster size must be A0 (118.9 x 84.1cm) portrait. Authors will received specific instructions about the place and time of the presentation. Posters may be in Spanish, Portuguese or English. Authors presenting must register for the event but they will not pay for a ticket ( 1 ticket per poster). Interaction South America 2015 will not cover travel expenses. A digital version of the posters will be published on Interaction South America’s website. Authors will receive specific instructions about the format for this publication. 6 different formats. Professional committee will only evaluate abtracts. Notification to authors. Registration period for conference commences. ISA15's Professional Committee will notify all authors, indicating the result of the evaluation. Those approved to present on days 1 and 2 will receive a code for registration. Registration period for conference closes. 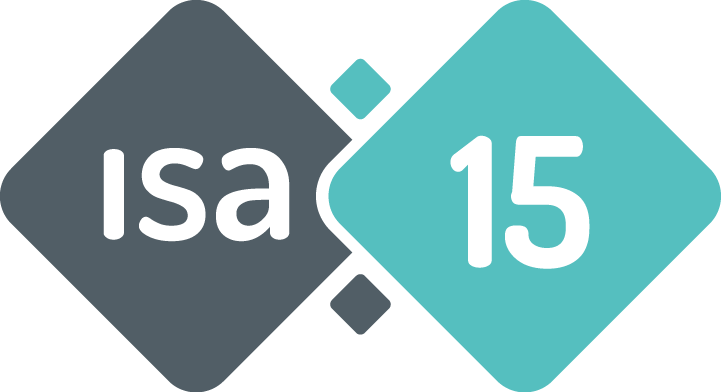 Deadline for approved authors to register for ISA15. Deadline to submit the complete versions of articles and other works. Along with the notification email, authors will receive specifics and logistics information related to the submission final document. The Latin American Conference on Human Computer Interaction (CLIHC) aims to provide a premier forum that brings together the Latin American and international HCI research communities to discuss and exchange ideas, methods, approaches and techniques for designing interactive user experiences. This conference has its origin in Rio de Janeiro 2003 (Brazil), following editions in Cuernavaca 2005 (Mexico), Rio de Janeiro 2007 (Brazil), Merida 2009 (Mexico), Porto de Galinhas 2011 (Brazil), and Guanacaste 2013 (Costa Rica). In consonance with previous editions, we believe that in the field of HCI we must come to a technology that not only can be used and appreciated by as many people as possible, but that also promotes intercultural exchange and cooperation between people with different backgrounds and needs. This year, CLIHC 2015 is organized jointly with Interaction South America (ISA 2015), the annual event that brings together the professional community in Interaction and User experience design. Participants will have the unique opportunity to explore synergies and collaboration opportunities between the research and practitioners communities. Original contributions that have not previously been published in another forum, nor be subject to review for other conferences or publications. Contributions should include academic research results of high quality, case studies or experiences that provide new evidence about the research or application regarding the topics of the conference. Full papers must be submitted in English and must not exceed 8 pages in the ACM Conference Proceedings format (including figures, tables, references, and appendices). Work in progress with partial but significant results. Submissions must contain an original contribution that has not previously been published in another forum, nor be subject to review for other conferences or publications. Short papers must be submitted in English and must not exceed 4 pages (including figures, tables, references, and appendices). Work in progress that is exhibited in a poster session during the conference, providing an interaction opportunity for researchers and practitioners to present and demonstrate their new and innovative work. Authors must submit a manuscript written in English, Spanish or Portuguese that must not exceed 2 pages. PhD students are invited to present the topic and progress of their research in order to obtain feedback from a panel of experts. Papers for doctoral consortium could be written in English, Spanish or Portuguese and must not exceed 2 pages. An opportunity for students to participate through a practical activity, create an exhibition space of solutions to a problem socially relevant, and foster greater interaction between industry representatives and students. Participants can be students or professionals in groups of up to 4 participants with 1 supervisor. Each team must submit a presentation in Portuguese, Spanish or English in PDF format with a maximum of 15 slides.